You will receive this package of mini biscuit cases. Fill with your batter and bake in muffin tins. To retain freshness, leave in the baking cups. These are mini size, about 3/4" high. 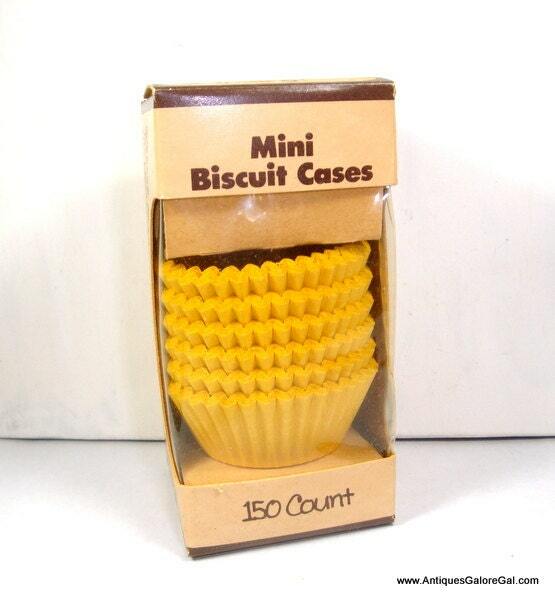 150 count. Box appears to be unopened, although the top tab is torn. By Hoan, dated 1981. More baking cups? Combine shipping available.